Felt plant. 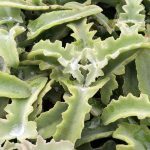 Drought-resistant, bushy, tender evergreen succulent with velvety, triangular leaves. 4″ fleshy leaves are covered with fine silver hairs. Silvery, green-gray foliage with fang-like bumps. Grows 2-3′ tall. Hardy to Zone 9. 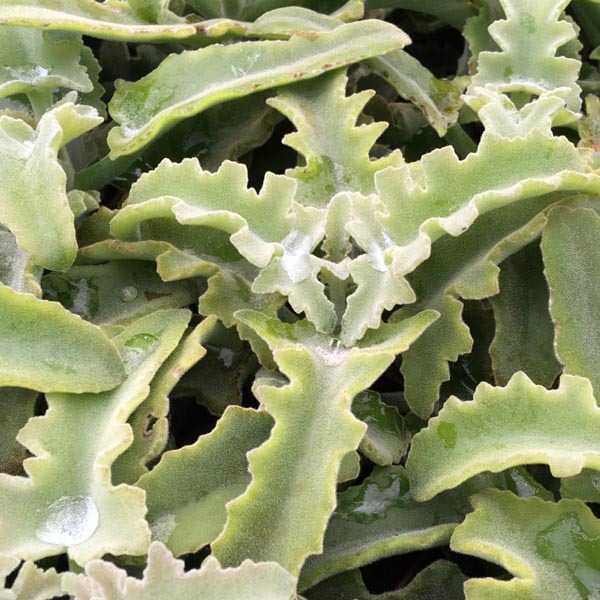 Succulents grow best in sunny, well drained, gravelly soil that isn’t left to get wet all winter. Requires little water once established.